No matter what your handicap is you should look at the golf ball as game improvement equipment. You want a ball that will maximize your potential and fit your swing speed and skill level in order to get the most out of it. Typically, there are 2 basic balls being produced by the OEM’s at different price levels. OEMs are crafting one ball to be slightly longer with less spin, and the other to have have a greater spin-rate with less distance. In order for manufacturers to achieve this there is a slight change in the feel of the ball. Distance oriented balls tend to have firmer feel, while the more spin oriented balls tend to have a slightly softer feel to them. Another part of the equation is trajectory. One might fly slightly higher than the other also. This is the basic concept that is being offered to the consumer and has been for years. Construction-wise, a basic 2-piece ball consists of a Core and a Coverstock. Typically, 2-piece golf balls are designed for distance and offered at a lower price point. The hot new trend in 2-piece balls is a lower compression ball combined with a coverstock that offers a super-soft feeling at impact. Players with slower swing speeds are really driving the market to produce these types of balls. The other type of ball offered are the 3-5 piece constructed balls. The multi-piece construction, and the addition of mantle layering allows the OEM’s to pin-point specific playability features by adding unique extra layers to the ball. The technology of launch monitors now allows players to hone in on areas in their game that needs improvement, and play a ball that minimizes their weaknesses. 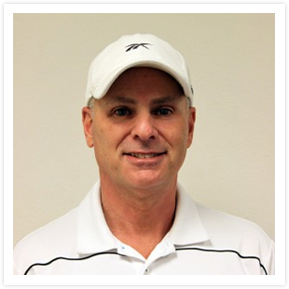 Common weaknesses include reducing the spin-rate on drives in order to increase roll and distance, while others look to increase spin on their iron and wedge shots increasing performance and feel around and on the greens. So size up you game by understanding your strengths and weaknesses and by also knowing your club speed before choosing your next ball. Visit the OEM’s web sites or attend a ball fitting and learn what type of ball is best for your type of game and go have some fun! The Bridgestone e5 is a two-piece ball with a Gradational Core, Tour Caliber Urethane Cover and 326 Seamless Web Dimple Technology. 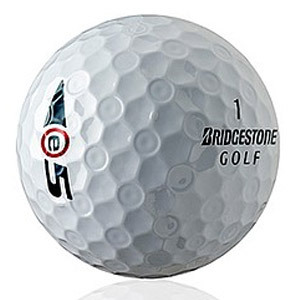 I found the whole line up of Bridgestone balls to be a very bright, white color. Scuffs and minor marks really dulled the cover and left marks that looked like the ball had been stained. I found the feel of the e5 was very close to the RX series, which is a tad on the firm side. 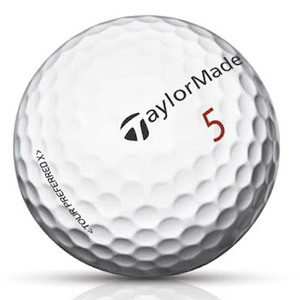 The e5 is a mid-level performance ball designed to enhance the games of players who have issues getting the ball high enough in the air, or want to see more a higher ball flight for increased carry distance. The Srixon Q Star Pure White is a two-piece construction ball with an Energetic Gradient Growth Core, Spin Skin, Pana-Tetra Cover and 344 Speed Dimple Pattern. They aren’t called Pure White for nothing! Srixon balls tend to be the brightest balls on the market these days. I found minor cover nicks and scuffs after minimal play, but again very minor. The Q Star has an unique feel to it. I thought it felt more on the soft side at first; however, the more I used it, I found it was not as soft as I first thought. Still, it is far from firm feeling. The Q Star is a great ball for all abilities with at least a 75 mph swing speed. An aggressive launch angle will help players who need to get the ball into the air quickly. 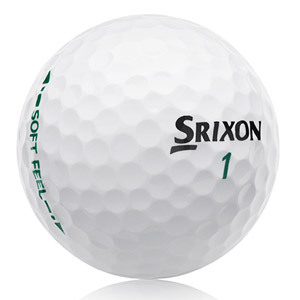 The Srixon Soft Feel Pure White is a two-piece Super Soft Core, Soft Feel Ionomer Cover and 344 Aero Power Dimple Pattern. Like the name says, the ball has a very soft feel to it. Players that are looking for a great game improvement type of ball at a lower price point and a super soft feel will want to give this one a try. The AeroBurner Soft is a two-piece ball that features the React Core, a LDP 342 High-Lift, Low-Drag dimple pattern and a very soft Lothane Cover that has a seam. Of all the TaylorMade balls I tested, this was the least bright white ball. 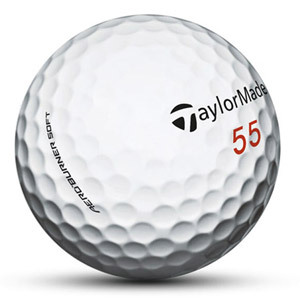 The AeroBurner Soft was also the least durable ball of all the TaylorMade balls. Scuffs came easily and looked like minor stains on the ball when cleaned. The feel was soft, very soft. I had fun chipping and pitching with it because it produced an excellent bite. If you are a player who likes the trend of very soft feeling balls, the AeroBurner Soft will provide you with just that, along with solid distance and control. 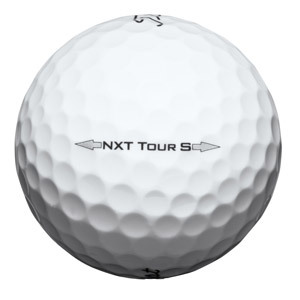 The NXT Tour S is a two-piece ball with proprietary softer compression and a highly resilient core, softer thin Fusablend cover and spherically tiled 302 octahedral dimple design. This ball has excellent brightness and is maybe a touch brighter than the Pro V1 models. The Yellow version offers my second favorite yellow shade behind the 2011 Srixon Z Star and XV. The NXT Tour S is very durable and one of the better balls tested, as was the yellow version. You can feel the softness of this ball compared to a Pro V1x, but not nearly as soft as some of the true soft offerings out on the market. To me the yellow version seemed slightly softer than the white version. A 2-piece proprietary LSX core, a NaZ2 cover, and a spherically tiled 328 tetrahedral dimple design. The Velocity is very, very White, definitely one of the brightest balls on the market. The cover showed some small nicks and marks after a bit of play. The Velocity is not quite as durable as the NXT versions, but maybe slightly more durable than the DT Solo. The Velocity might be the firmest ball in the Titleist line up. This ball is about distance, so those who can sacrifice some feel and spin on the short game will love the distance off the driver and irons. The Duo is a two-piece construction ball that features a Soft Rubber-rich Core, Ionomer Cover and 302 dimples. 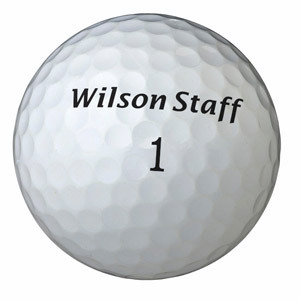 I found the three different Wilson balls that I tested were a very bright white, but not as white as the Srixon balls. Based on my testing, the durability was slightly above average. Is this the softest feeling ball out there? It’s soft alright. A bit mushy for my taste. 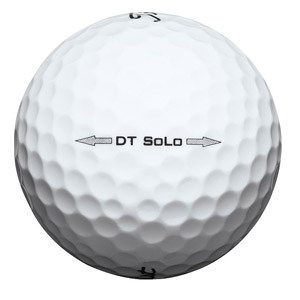 This is for the player that demands a very soft ball, but also wants added distance. The 29 compression is not for everyone though. The Bridgestone e6 is a three-piece ball with a Soft Gradational Core, Anti-Spin Mantle, Soft Surlyn Cover, and 326 Seamless Web Dimple Technology. I found the e6 was the brightest of all the Bridgestone balls that I tested, which was very bright. To me, the e6 felt softer than the e5; while it was not super soft, it was not a rock either. 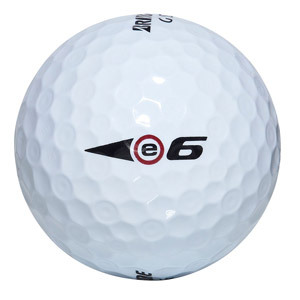 The e6 is Bridgestone’s mid-level control ball. This is great for players who add too much spin on the ball, and are looking for a ball to perform at a high level without an exorbitantly high price. 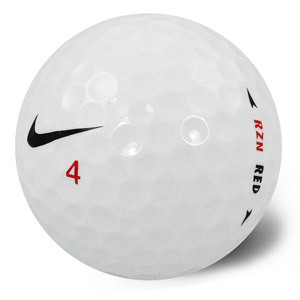 The Nike RZN Red is a three-piece construction ball that features a Speedlock Technology interlocking RZN Polymer Resin core, RZN Mantle layer, soft cover coating, and a three-piece Ionomer cover. Nike has produced a very nice bright white color, though I did see a slight difference in brightness in the various RZN versions. The Red was in the middle, but still very bright. I found with all the RZN offerings there were minor cover nicks and scuffs after minimal play, but very minor. Like the rest of the RZN line up, I found some firmness when putting and with shorts pitches, while full swings felt firm and strong off the clubface. Players who are looking for maximum distance and carry from every club in the bag will want to check out the RZN Red. 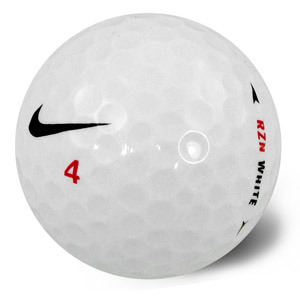 The Nike RZN White is a three-piece construction ball that features a Speedlock Technology interlocking RZN Polymer Resin core, RZN Mantle layer, Soft cover coating, and a Three-Piece Ionomer cover. For some reason this ball stood out to me in terms of brightness over the other three RZN balls. Very bright! p>I found with all the RZN offerings there were minor cover nicks and scuffs after minimal play, but very minor. The White, to me, while still on the firm side felt slightly softer than the rest of the RZN line up. The RZN White is more of a total package ball (good distance and some feel around the greens), but I would say it is a step down from the tour level Black and Platinum versions. The E-Motion is a three-piece ball with a Progressive Motion Dual Core, StopSpin Technology Inner Mantle, Ionomer Surlyn Aeroblend Cover and 392 dimple pattern that has a seam. The E-Motion is not the brightest by any means, but it has a nice brightness to it, though. I found minor cover impressions and marks after the first round. The E-Motion has a firm feel to it, yet it does not act like it around the greens. 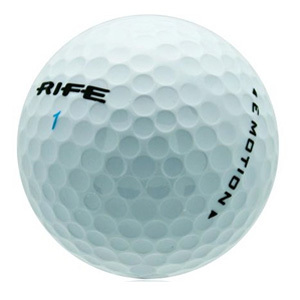 The E-Motion is Rife’s tour caliber ball, and plays well in all weather conditions. This is for the player looking for a well rounded ball. 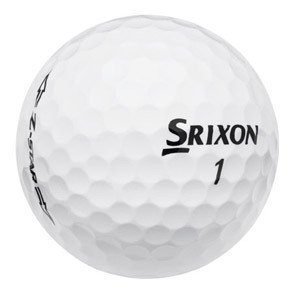 The Srixon Z Star Pure White is a three-piece construction ball with an Energetic Gradient Growth Core, Spin Skin, Neo-Urethane Cover and 324 Speed Dimple Pattern. The feel is softer with the 2015 Z Star than previous versions. I was quite impressed by the feel as it provided me with excellent feedback on all shots. Any player that is looking at the hot trend of a softer feeling tour-style ball will need to look at the Srixon Z Star Pure White. 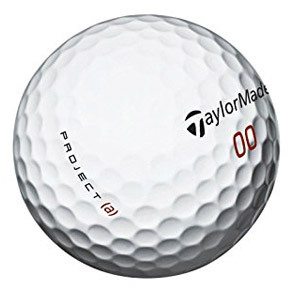 TaylorMade Project (a) is a three-piece ball with a React Core, Spin Mantle, 360 dimples, and a Soft Tech cast urethane cover that has a seam. While not the brightest ball on the market it is still very bright. Much like the Tour Preferred versions, I saw minor impressions and marks after the first round. The Project (a) has a touch softer feel to me compared to the Tour Preferred versions on all my clubs, but it was not super soft. The NXT Tour is a three-piece proprietary softer compression dual core, softer thin Fusablend cover, and a Spherically tiled 302 octahedral dimple pattern. This ball has excellent brightness and maybe a touch brighter than the Pro V1 models. I found the NXT Tour to be very durable and one of the better balls I tested. You can feel the softness of this ball when compared to a Pro V1x, but not nearly as soft as some of the true soft offerings out on the market. 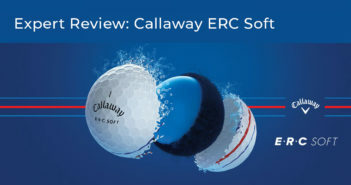 However, it is slightly firmer than the NXT Tour S.
The Pro V1 is a three-piece, multi-component technology with a very soft compression ZG process core, ionometer casing layer, softer thermoset urethane elastomer cover and spherically-tiled 352 tetrahedral dimple design. This ball has an excellent bright white to it, but not the whitest ball out there or even in the Titleist line up. Though, after 3-4 rounds this ball definitely loses some of its vibrance. 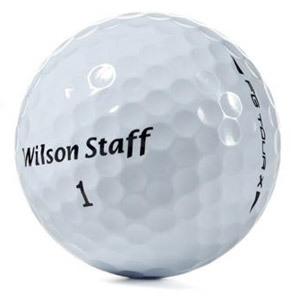 The Pro V1 has excellent durability and is an improvement over 2013 version. The ball remains very playable, even after 4 rounds! The Pro V1 has a softer feel when compared to the Pro V1x. It still has that famous click feel to it when putting and is very solid off the rest of the clubs. This ball never feels too soft. This ball is geared towards every golf out there. The Pro V1 offer a more penetrating flight off the tee and more roll out compared to the Pro V1x. The Duo Spin is a three-piece construction ball with a Soft Core, Inner Mantle, Ionomer Cover and 302 seamless dimple pattern. Like the Duo, the Duo Spin is a very, very soft feeling golf ball. 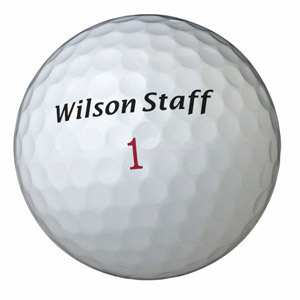 The Wilson Staff Duo Spin is more about control than distance, compared to the Duo. The 35 compression ball will offer more spin around the greens because of the extra inner mantle layer in the construction. Players who love a soft feeling ball and want a touch more spin should have a look at this ball. The Bridgestone B330 is a four-piece construction ball with a Hydro Core, Dual Mantle, Tour Proven Urethane Cover and 330 Dual Dimple Technology. The B330 is one of the firmer feeling balls by Bridgestone that I tested, which might be due to my swing speed being under 105 mph. This ball is designed for the players who’s swing speed is 105 mph or greater, and are looking for a tour level ball that provides maximum distance. The Bridgestone B330 S is a four-piece construction ball with a Hydro Core, Dual Mantle, Tour Proven Urethane Cover and 330 Dual Dimple Technology. The B330 S is one of the firmer feeling balls by Bridgestone that I tested, which might be due to my swing speed being under 105 mph. This ball is designed for the players who’s swing speed is 105 or greater, and are looking for a tour level ball that provides maximum tour spin. 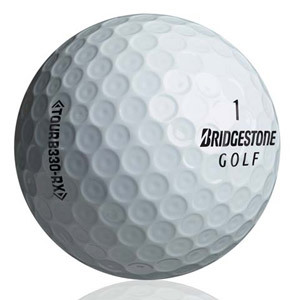 The Bridgestone B330-RX is a four-piece construction ball with a Softer Hydro Core, Dual Mantle, Tour Proven Urethane Cover and 330 Dual Dimple Technology. I found the RX version felt slightly softer than the B330 and B330 S versions, but it was still far from being on the soft side. This is Bridgestone’s tour level ball that is designed for players with swing speeds of 105 mph or less, and are looking for performance and distance. The Bridgestone B330-RXS is a four-piece construction with a Softer Hydro Core, Dual Mantle, Tour Proven Urethane Cover and 330 Dual Dimple Technology. I found the RXS version to feel slightly softer than RX version, but far from being on the soft side. This Bridgestone ball is designed for swing speeds of 105 mph or less, and are looking for tour level performance and spin. The RZN Black is a four-piece construction ball that features a Speedlock Technology interlocking RZN Polymer Resin core, RZN Mantle layer, and a Multi-Piece Urethane cover. Nike has produced a very nice bright white color though I did see a slight difference in brightness in some versions. The Black was in the middle but still very bright. This ball has a firm crisp feeling to me with small swings and putting. Fuller swings provided an excellent, crisp powerful feeling. 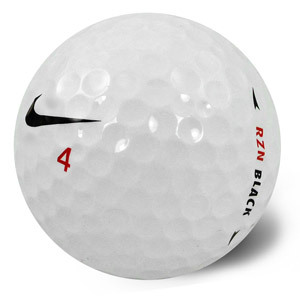 The Nike RZN Black is a tour level golf ball that is designed for anyone, but especially for players with higher swing speeds. The RZN black produces more length from less spin off the Driver. The RZN Platinum is a four-piece construction ball that features a Speedlock Technology interlocking RZN Polymer Resin core, RZN Mantle layer, Spin-Optimizing coating, and a Multi-Piece Urethane cover. For some reason, of the 4 RZN Balls, I found the Platinum to be the least bright. Very close to the Black but a touch softer is what I felt. The RZN Platinum is a tour level golf ball that is design for anyone, especially players with higher swing speeds. More spin and control around the greens than the Black version. 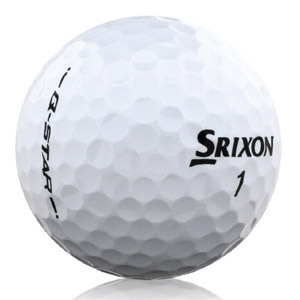 The Srixon Z Star XV Pure White is a four-piece construction ball with an Energetic Gradient Growth Core, Spin Skin, Neo-Urethane Cover and 324 Speed Dimple Pattern. The extra mantle layer on the XV version provides a slightly firmer feel compared to the Z Star, and feels more like the older Z Star versions than the older XV versions. The extra layer needs a touch more swing speed to really make the XV version shine. Swing speeds of 100 mph+ will benefit most from the extra layer, and should see a little extra distance from the XV versus the Z Star. The TaylorMade Tour Preferred X is a four-piece construction ball with a React Core, Spin Mantle, Low Drag Performance Aerodynamics 322 dimple design and a Soft Tech cast urethane cover that has a seam. The Tour Preferred X has an excellent feel, neither too soft nor not too firm. Definitely the type of feel I get from all high end balls. The Tour Preferred X is a tour level ball designed for players who demand everything from a high end ball. An excellent all around ball with a touch less spin on iron and wedge shots compared to the TP version. 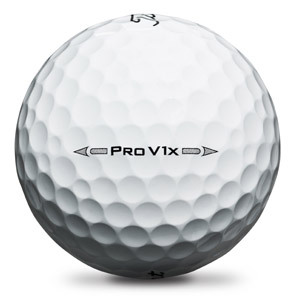 The Pro V1x is a four-piece, multi-component technology with ZG process dual core, ionomeric casing layer, softer thermoset urethane elastomer cover and spherically-tiled 328 tetrahedral dimple design. The Pro V1x has excellent durability and is an improvement over 2013 version. The ball remains very playable, even after 4 rounds! The Pro V1x has a firmer feel compared to the Pro V1. It still has that famous click feel to it when putting and is very solid off the rest of the clubs. This ball never feels too firm. 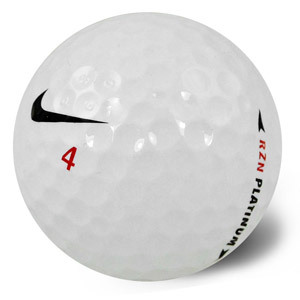 This ball is geared towards every golf out there. The Pro V1x offers a higher ball flight off the tee for more carry than the Pro V1, but with less rollout . The FG Tour is a four-piece construction ball with a Soft Rubber-rich Core, a DuPont HPF Inner Mantle, a High-Resilience Outer Mantle, a Cast Urethane Cover and 318 dimples. 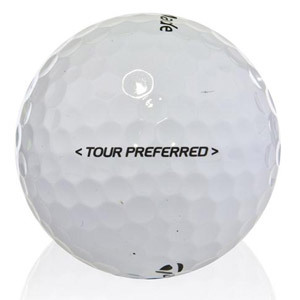 Being a 70 compression tour ball, I found the feel to be quite soft, as it should be. Players who left tour balls for the softer feeling balls can now come back to the FG2 and get a soft feeling tour caliber ball.